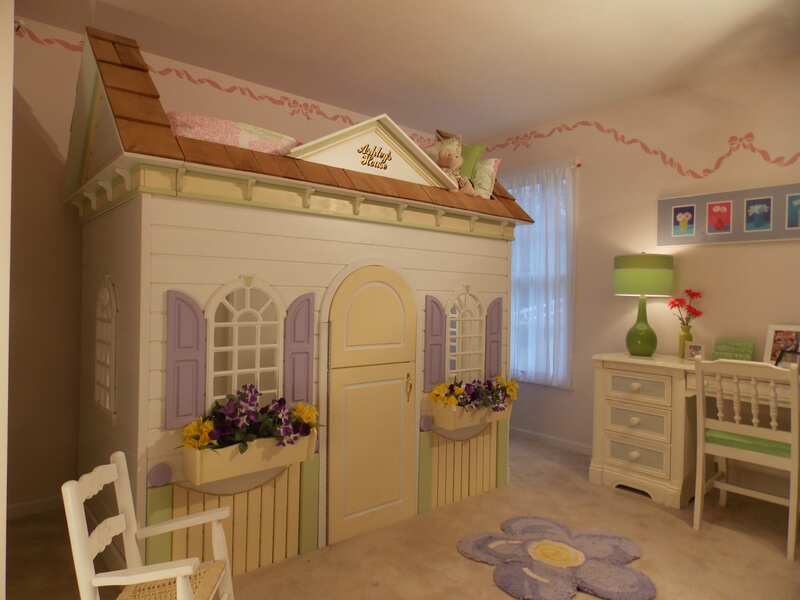 Just like the daffodils of Spring, any little one will wish to pop right up from their slumber atop this adorable playhouse bed, ready for play. Housed below is space to allow for pure imagination. They can delight in opening the top of their Dutch door as they await visitors, and inside they can create their own fantasy world as they plan a tea party, prepare a table, or lounge with their favorite book. Make their bedroom a delightful place of special memories. Dutch Door; Arched Windows; Window Boxes; Picket Fence; Shake Shingle Roofing, Corbels, Personalized Signage and Victorian Accents.